by Rodríguez, Francisco, Samaniego, Fabián A., Blommers, Thomas J.
Rodríguez, Francisco, Samaniego, Fabián A., Blommers, Thomas J.
Fabían A. Samaniego taught four years at Utah State University before going to the University of California at Davis, where he served as Supervisor of Teaching Assistants and Coordinator of the first-year Spanish program for twenty-four years. 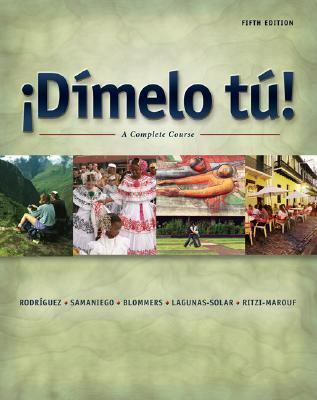 A specialist in foreign-language pedagogy, Professor Samaniego has been a frequent presenter at foreign-language conferences across the country.Rodríguez, Francisco is the author of '-dimelo Tu! ', published 2005 under ISBN 9781413006377 and ISBN 141300637X.